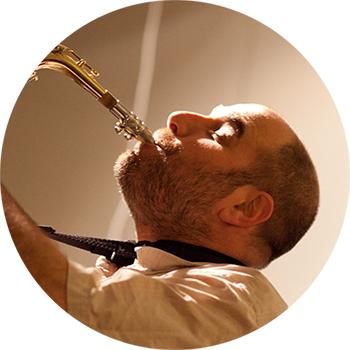 Always active, TickleJuice band leader James Merenda has performed with bands and orchestras internationally, including performances with Ran Blake at Knitting Factory, Darmstadt Jazz Festival in Germany, and recordings with Hatology Records. Merenda has also performed with Roswell Rudd and Beat Science, Cameron Brown, Joe McPhee, Joe Hunt, former Ornette Coleman keyboardist Dave Bryant, Grammy Award-winning pianist David Maxwell, Either/Orchestra, Ardvark Orchestra, The Slip, contemporary guitarists Marc Ribot, David Fiuczynsdi, Dave Tronzo, and with drummer Bob Gullotti. James has also performed on Radio France, Radio Europa in Italy and in Holland, Switzerland, Czechoslovakia, Hungary, Sweden, Denmark and Belgium with Perilous Foil. 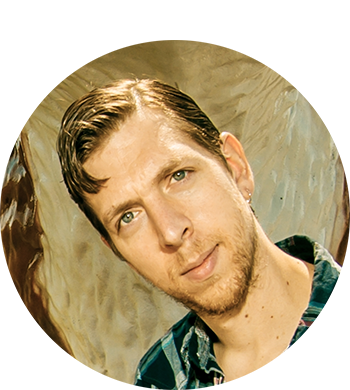 For the last 5 years, James has been composing music for, and leading his latest project, TickleJuice. Now with over 80 compositions expressly created for the band, TickleJuice is thriving in and around the Boston area. Tom Duprey has been a freelance composer and musician in the Boston area for nearly 30 years, playing trumpet in orchestras, R&B bands and pit orchestras throughout New England. Due to his musical versatility, jazz players say Tom is a “classical player,” while classical musicians say Tom is “a jazzer with a good tone.” Tom’s energy stems from his love of musical collaboration, and working on new projects. Tom received his Masters in Jazz Composition at The New England Conservatory, playing under Ran Blake, inspiration and mentor. Both Tom and musical collaborator James Merenda were members of The George Russell Big Band at NEC, and the two rejoined eight years later and, thus, TickleJuice was born. Tom has performed with artists such as Tommy Tune, Robert Goulet, Johnny Matthis, and Dionne Warwick, as well as The Four Tops and The Temptations. Recently, Tom has collaborated with Grammy Award-winning artist Serj Tankian on his debut album for new music group Jazz-Iz-Christ. Jon Dreyer is a Boston-area bassist and cellist. He performs regularly with jazz pianist Harvey Diamond, one of Lennie Tristano's last protégés, and with pianist/saxophonist/bandleader/composer James Merenda, both as a member of his band TickleJuice and also in more mainstream jazz settings. He has also performed with Adam Janjigian, Doug Johnson, Yoko Miwa, Hankus Netsky, Alan Rowe, Stanley Sagov, Frank Wilkins, Ken Field, Grace Kelly, Roy Nathanson, Joe Raia, Phil Grenadier, Mike Connors, Gillian DeLear, Gary Fieldman, Dave Fox, Scott Goulding, Joe Hunt, Steve Langone, Miki Matsuki, Brooke Sofferman, and others. He has studied cello with Glenn Garlick, Ervin Klinkon and Ben Levinson, and as well as a master class with János Starker. He was a member of the Boston Philharmonic and the Fairfax Symphony and has performed with the Masterworks Chorale, the Kennedy Center Opera House Orchestra and the National Gallery Orchestra. Guitarist David Hawthorne has performed extensively in the United States, Europe, and Africa. He has deeply explored and performed in a number of styles, including jazz, rock, soul, calypso and soca, reggae, West African Mbalax, various guitar-based Brazilian music, as well as American musical theater. He has composed for various classical ensembles, including full orchestra, string quartet, solo piano and violin, and has also composed and arranged for jazz big bands, and smaller combos. David’s music is also published by Editions Zither in Germany, in conjunction with a series of jazz workshops he presented in Munich. He is recorded on Zoning, MMC, Amalien Records and, most recently, with the incomparable band TickleJuice, a band he’s been with since 2010. Hawthorne lives in Cambridge, MA, and is also a maker of bows for stringed instruments at his shop David Hawthorne Violin Bows in Harvard Square, MA. He often enjoys bitter drinks with tonic and digestive properties, which he shares with the cognoscenti. 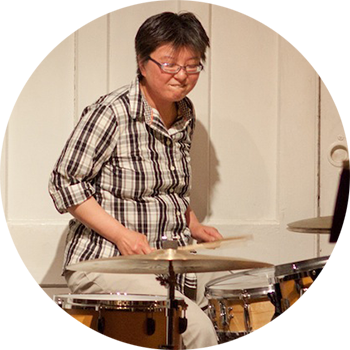 Drummer Miki Matsuki was born in Matsuyama, Japan, and moved to the United States to study jazz at Berklee College of Music in 1996. A talented musician, Miki’s band received the title ‘Best of Berklee’ in 2000. Thereafter, Miki received a full scholarship to The Longy School Of Music, where she graduated with her MM and GPD in Modern American Music Performance with honors. Over the last 15 years, Miki has performed and recorded in various musical settings, including performances through radio and TV broadcasting, a musical tour of Korea, and soundtrack work. Miki has performed with many great musicians, including Wynton Marsalis, Joanne Brackeen, George Garzone, John Tchicai, Darren Barrett, Frank Lacy, Cecil Brooks, Dave Bryant, Stan Strickland and many others. Vanessa Morris’ musical background started with rigorous classical piano training. She branched into jazz music during her undergraduate studies at Oberlin Conservatory, and continued on this path as she attended New England Conservatory for graduate work in Jazz Studies, the goal to sing and accompany herself on piano. Taught by masters, Vanessa’s teachers have included Peter Takac, Sanford Margolis and Neil Creque at Oberlin, and Dominique Eade, Ran Blake, John McNeil and Hankus Netsky at NEC. 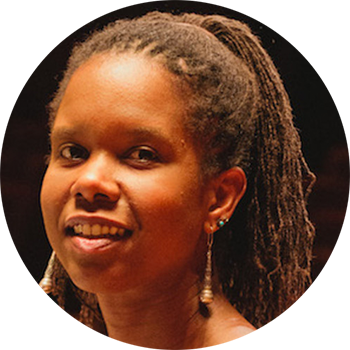 Vanessa has performed at various venues including Jordan Hall and House of Blues, and has performed with series and festivals such as Forest Hills Cemetery Series, Fuller Craft Concert Series, and The Martha’s Vineyard Jazz Festival. She has also performed with musical groups including James Merenda’s Masked Marvels, Merenda/Morris saxophone and voice duo, The Morris/Sandvik duo, and The Vanessa Morris Trio. Currently, Vanessa is the pianist in TickleJuice, and continues to work with Scott Sandvik in The Morris/Sandvik duo. Paul gigs regularly with Boston bluegrass/swing staple Frank Drake, bebop jazz saxophonist Kurtis Rivers, and with composer James Meranda's wildly versatile and fun jazz ensemble TickleJuice.